On May 7th here in the UK, we will elect a new government and Prime Minister—basically our president, for the Republics out there—who will run the country for the next five years. Yeah, it’s pretty major stuff, and it’s almost all anyone is talking about. Traditionally, the General Election race has always been two-sided. On one side, Labour; the other, the Conservatives. For the last five years though we’ve been stuck in a coalition government: in short, the Conservatives didn’t secure enough votes in order to be the majority party in parliament, so teamed up with their unlikely bedfellows, the Liberal Democrats. This time round the election dialogue has switched up a little, thanks to social media. Back in 2010, when the last elections were held, Twitter and other similar platforms weren’t as prevalent. In 2015, social media usage is vital to the final outcome. When public opinion on a politician and their party can change just because the former looked awkward eating a bacon sandwich (which was a photo and video that circulated online first, newspapers second), you know you have to step up your game. Because there is more accessibility, discovering other alternative parties to vote for becomes easier—and they can get their messages across more easily, too—the current government is facing opposition like it never has before. 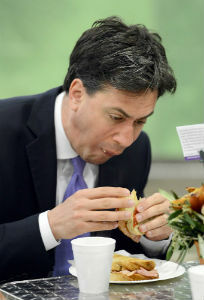 Ed Miliband, the leader of the Labour party, eating a bacon sandwich. We’re no longer saturated with Labour (red) and Conservative (blue) only coloured ties. It’s a time for change. With more choice, and parties with further-differing opinions, though, it has brought out of the woodwork a far more menacing presence than the Conservatives. 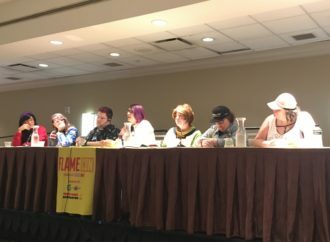 The party’s name? The UK Independence Party or the UKIP. The man behind it? Nigel Farage. The best way to describe this guy is how he is presented to the public: he’s the bloke that you’d meet down the pub, he likes a good old pint and a bit of banter, and, at the end of the day when everyone has worked long shifts, he’ll spot you a round or two. The catch then? 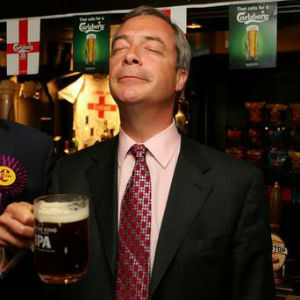 You’ve got to be British to be privilege to Farage’s “good nature.” And by that, you know, British. As in, you’d better have been born in this country—no immigrants allowed—British. What a great guy. For anyone that doesn’t live in the UK, you might think that we are pretty chill to anyone coming over and contributing to our society. Migrants born in other EU countries contributed nearly £5 billion in taxes from 1995 to 2011. Between 2001 and 2011, European immigrants brought in £20 billion. We’re also home to one of the most racially diverse cities in the world—London. Yet, it’s not as progressive here as you might have first thought, especially if you’ve only been to London. Nigel Farage is concerned for those people that think Britain isn’t British enough. That’s troubling. His problem with immigrants, from a country that thrives on international migration being part of its cultural fabric, is uncomfortable to say the least, and it saddens me that we have given the man so much positive press. He should have disappeared like Nick Griffin, the British National Party’s leader who said he was racist on live television. There is a long fight ahead of us. But if there’s one thing that we can try, it’s to start educating others, including Nigel, about immigration. Migrants aren’t coming to “steal our benefits,” as so many proclaim. They’re not out to push their religious views on you. They come from all different parts of the world (what about the British immigrants taking up “too much room” in other countries, Nigel?) and travel to another country for many different reasons. 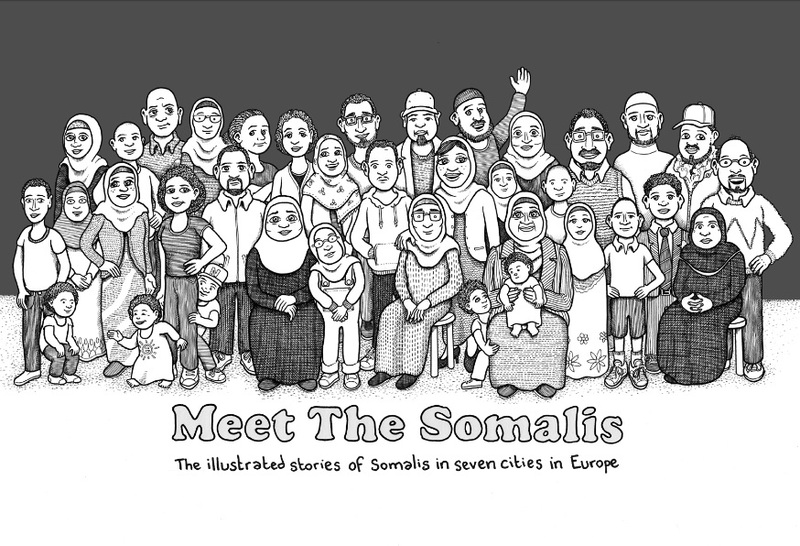 Meet the Somalis recounts the real-life stories of fourteen Somali immigrants living in different parts of Europe. 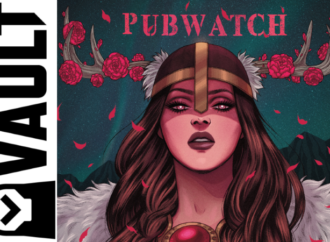 The comic (which is available for free online) is not only an important read, but a massive privilege-checker. As a third generation immigrant, it is easy to forget how much privilege I have been given from living in a city like London. Yes, I grew up as a fairly poor, working-class child in an awful area and wasn’t offered opportunities that people far better off than I had; it was up to me to make those for myself. In comparison though? Nothing like what is going down in Somalia was, or is, happening in London. I could go to school without the fear of bombings or my family being shot. None of the immigrants in Meet The Somalis have that safety net. Some of those who seek refuge in Europe find out, years later, that their family members have died because of the civil war. That same war has been going on for twenty-four years. It’s older than me. Go on, Nigel! For your own good, have a read of this comic. Hopefully, you’ll realise that the worst worry you’ve had is the fear that someone will throw eggs on your newly ironed suit jacket. 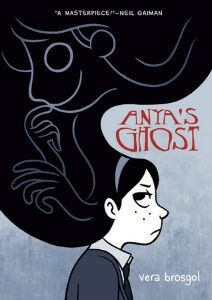 Anya’s Ghost is a story which has a whimsical, fairytale quality to it. There are ghosts (well, a ghost) a sort-of murder mystery, plot twists, and revelations. But, for me, what I found to be the most effective part of the comic is how Anya struggles with her two different identifies—is she more Russian or is she more American? She doesn’t go by her first name and avoids using her surname, because people can’t pronounce it (I feel you on that one, dude). She talks about the struggle she had to lose her Russian accent when she first moved to America and avoids Dimo, the only other Russian kid in school, in fear of “fresh off the boat” association. Like any other teenage girl, she just wants to fit in, and her idea of that is to be as least-Russian as possible after being bullied for it. Whether you are a first generation immigrant or not, that’s something to relate to. I think Nigel will be into it. Kamala Khan, who is the new Ms. Marvel and totally kicking arse in this series, is a second generation immigrant from a Pakistani family. She’s grown up in America and likes all the same stuff that other teenage girls her age like (and is an awesome fanfic writer), but is still immersed in her roots and proud of her culture, both as a Pakistani and American young women. 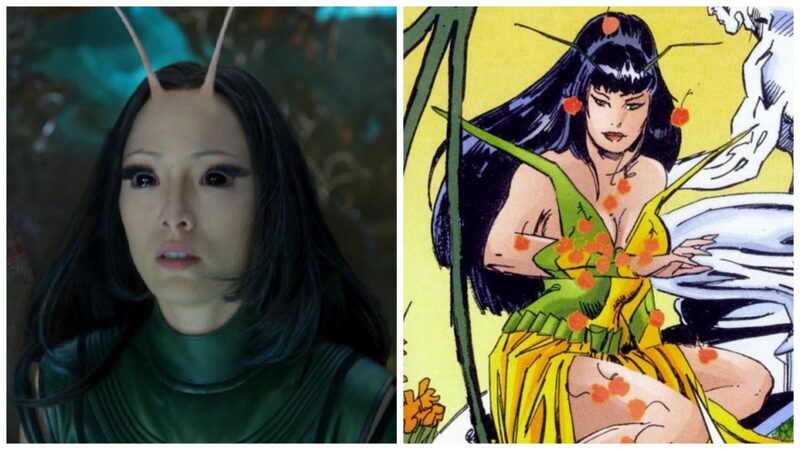 We need a hero like Kamala, especially at a time like this. Islamophobia isn’t just a problem in the UK; it’s an epidemic issue and one of the worst perpetrators is America. 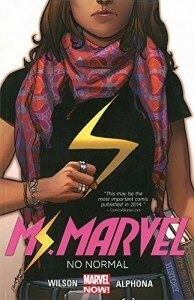 By having the Ms. Marvel title, Kamala is given a power that the media never offer to anyone from a Muslim background. She saves people that she cares about and the city that she lives in, all the while wearing patriotic American colours. She has the power to change people’s ideas about Islam and Pakistani culture, if she hasn’t had that effect already. A little bit of an education here about how to talk positively about the Muslim community, Nigel. 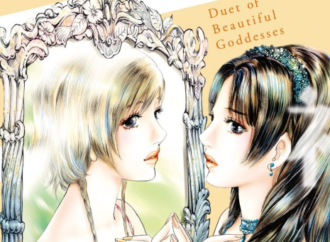 Yumiko is a Japanese-born woman living in Britain. Years ago, she left Japan in order to move to London and pursue her dream in design. While she was living in the city, she met her now-boyfriend Mark with whom she lives a happy life. Then she hears of her father’s passing and travels back to Japan. 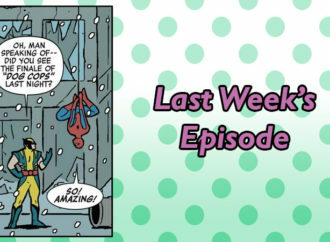 While there, she’s confronted with her feelings about her dad and the country that she left. Yumiko’s relationship with her birth home has a lot to do with the traditional culture that she, for a long time, dismissed. Her mother is a far more liberal thinker than her father was, as she talks about the struggles she had to go through in order to be a successful writer as a woman. British and Japanese women face similar challenges, but also struggles that relate to their respective countries traditions. For Yumiko to build a career in design, moving to London seemed like the most obvious option. She was able to secure the training she needed and managed to set-up her own business in a city where there were more jobs and clients available. 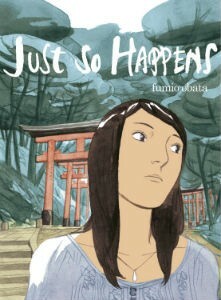 As her mother said, she took a chance and built a life she couldn’t have had in Japan. 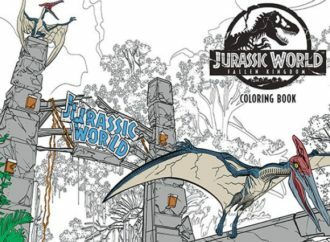 It’s nuanced in its approach and rather dream-like in certain sequences. I can feel Nigel being able to get lost into this story. 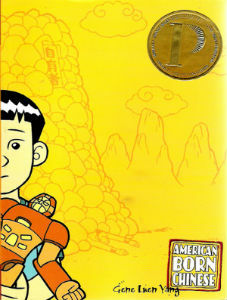 American Born Chinese is one that Nigel should definitely read last. Apart from Meet the Somalis, most of the other comics are fairly subtle in their approach at addressing the experience of an immigrant. This is definitely not that. Told with three intertwining stories, this comic is a kick in the teeth for anyone who has thought negatively about the Chinese community. It literally confronts you with the most obviously racist image of a Chinese person—the accent, the eyes, the teeth; all of it is there. That’s how Jin Wang feels about himself; a reflection of how Western culture erases the immigrant experience. He has grown up in a society which says white is better, that he “eats dogs,” and has “weird eyes.” He wants to be the guy that can get the girl and not the “freshie” Chinese kid. He perms his hair, like someone in his class, and he only wants to speak in English to his friend, Wei-chen, when they’re hanging out together. 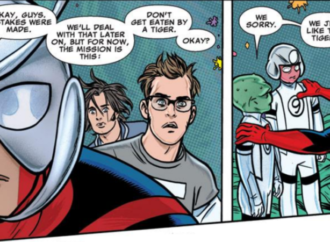 But that’s not enough—he will always be that Asian boy. Jin is truly haunted by that ideal of wanting to be white and hating himself for that fact he’s not. Loving your own culture and being immersed in it is so difficult when you live in a place that doesn’t let you embrace your own heritage. Or somewhere you can feel more included. It’s not easy to move to a different country, with an otherworldly culture and foreign language you don’t know a word of. There are many immigrants that have no choice but to leave their home to provide for themselves and their families. I don’t get why it’s such a struggle to see that being an immigrant is a hard life, Nigel. Don’t make it any more difficult for anybody, okay? Have a read of these comics instead, and let your life be transformed, so you can return back to us a far more compassionate human being.